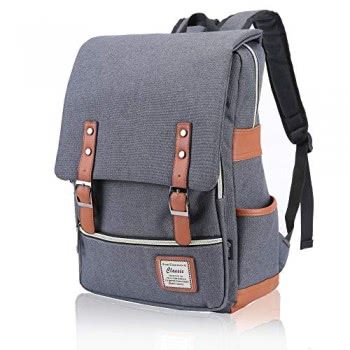 If you’ve been looking for a backpack with STYLE AND FUNCTION, then your search is over! Designed to be roomie without bulk means you get an amazing low profile look without sacrificing room for your things, guaranteed! MAKES A GREAT GIFT FOR YOUR WIFE, DAUGHTER OR MOM! 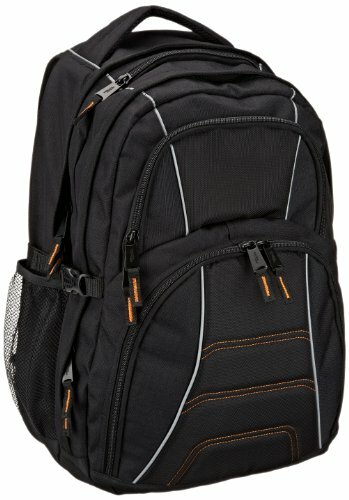 Why Do Amazon Customers Give Our Backpack 5-STAR RATINGS? It’s simple. Our product is the #1 choice for PEOPLE WHO VALUE VERSATILITY. Use it on DIAPER BAG duty or TRAVELING THE STREETS OF ITALY! The problem with other backpacks is they are usually too big, too small and not comfortable. Our backpack solves that problem! Why? The sleek, low-profile design provides a CAVERNOUS CAPACITY yet still sits comfortably, even on petite frames. Plus we added NON-SLIP SHOULDER STRAPS with COMFORT PADDING. NEVER SUFFER while carrying your backpack loaded again! Get the freedom to carry what you need while keeping your hands free and staying comfortable!! NOW YOU CAN WITH Kjarakär backpacks. – DIMENSIONS: 15.7″ x 10.6″ x 6.7″ will hold a 15″ laptop measuring screen diagonally. – TSA FRIENDLY: Qualifies as one carry-on item. Fits perfectly under the seat in front of you. – DETAILS: Main compartment with wide open design. Dual working zippers allow you to lock items up for security and for quick access to the things you need. Front flap connects with magnetic snap for sleek design. Need a day shopper or diaper bag? Commute to work daily? This is your bag! 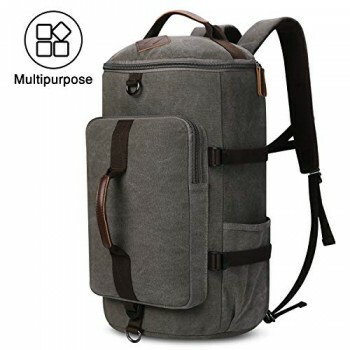 – VERSATILITY: Best backpack for maximum versatility. More than one pocket can hold a 15″ laptop (measure screen diagonally), big open main compartment allows you to vary daily use. PLUS – Two snaps on side allow for expansion. – POCKETS & ORGANIZATION: Total of 6 pockets. In addition to the main compartment, two interior pockets. 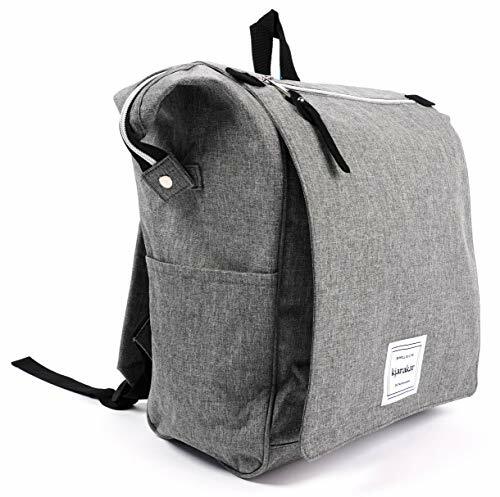 Can hold a 6plus iPhone, wallet, pens, sunglasses; two exterior side pockets that are big enough to carry an 800 ml Hydro Flask or Klean Kanteen water bottle or umbrella. Another pocket located on front flap (W9.8 x H12.5 inches) perfect for your tablet, notebooks, magazines and more. 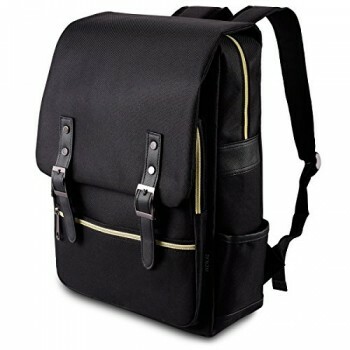 Bonus opening: Rear Vertical Zipper (9.1″ in height) provides quick access point to main compartment. Fully padded and breathable: back panel and shoulder straps (16.9″- 33.8″). No longer worry about carrying a backpack at max capacity. MATERIAL: Made of lightweight water resistant polyester. Your items will stay dry if caught in the rain. VERY DURABLE: Abrasion resistant, won’t shrink and colors won’t fade. Reinforced seams throughout. WASH and CARE: Dry Clean or Hand Wash. Air Dry for Extended Life. Liliemie, an Amazon Customer, SAID THIS ABOUT OUR BACKPACK: “I purchased this bag as an alternative to my daughter’s diaper bag. I LOVE IT!! I was pleasantly surprised at how versatile this bag is & how having that many compartments is really useful. Straps are comfortable & the bag is made of an exceptional quality of fabric both inside & out. This bag is a great multi-purpose bag. THIS FIRST-TMIE MOM REALLY ENJOYS USING IT!.” Get yours today while supplies last!